The ISBW12 Silent Auction will open at 6:00pm on Sunday, October 16th. 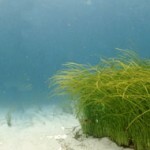 The ISBW12 Silent Auction is a great way to support student members of the World Seagrass Association. All auction proceeds will go the WSA Evamaria Koch Student Travel Award to support student participation and development activities. What kind of items will be accepted? Are you an artist, craftsperson, or author? ISBW12 would love to feature your work as an auction item! If you’re not the creative type, donations such as gift certificates (of any denomination), books or journals, scientific instrumentation and fun items that will inspire bids from your fellow ISBWers are also welcome. Please download and complete the ISBW12 Silent Auction Donation form [word.docx or pdf] and return to wsa.secretary@gmail.com. Completed silent auction donation forms are due by Friday, 14 October, 2016. This entry was posted in communications on 4 August, 2016 by ainsley.